WWI WWII What led to the World War I? OR How did WWI impact civilians (non-combatants) in the countries involved? OR How were colonized areas affected by this war? OR How did this war change the world after the war? 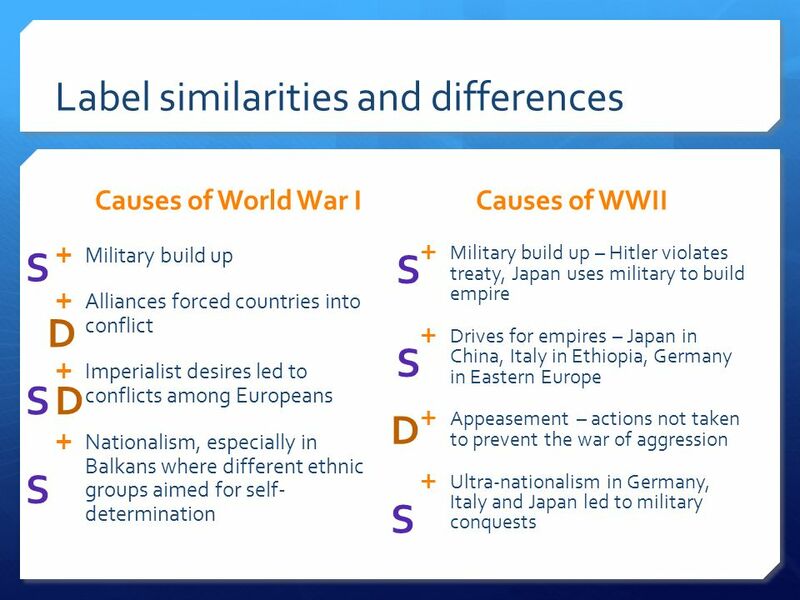 What led to World War II OR How did WWII impact civilians (non-combatants) in the countries involved? OR How were colonized areas affected by this war? OR How did this war change the world after the war? 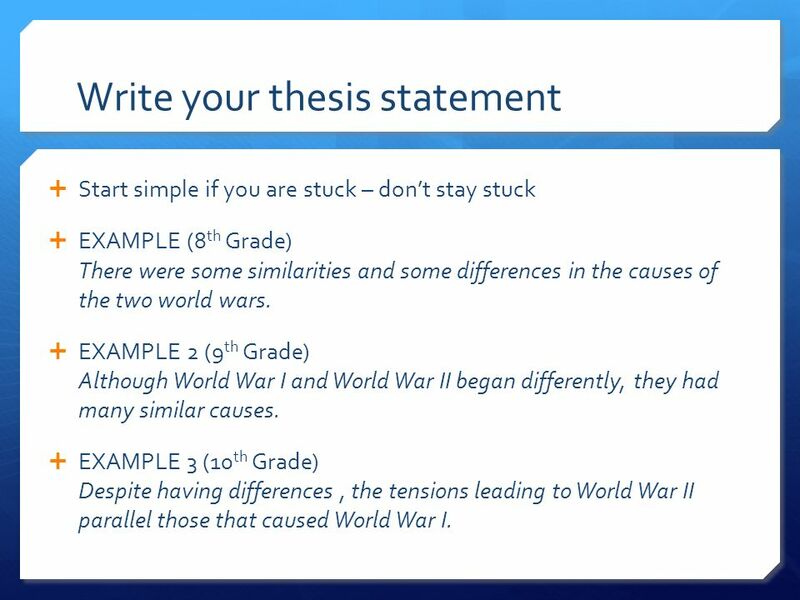 Start simple if you are stuck – don’t stay stuck EXAMPLE (8th Grade) There were some similarities and some differences in the causes of the two world wars. 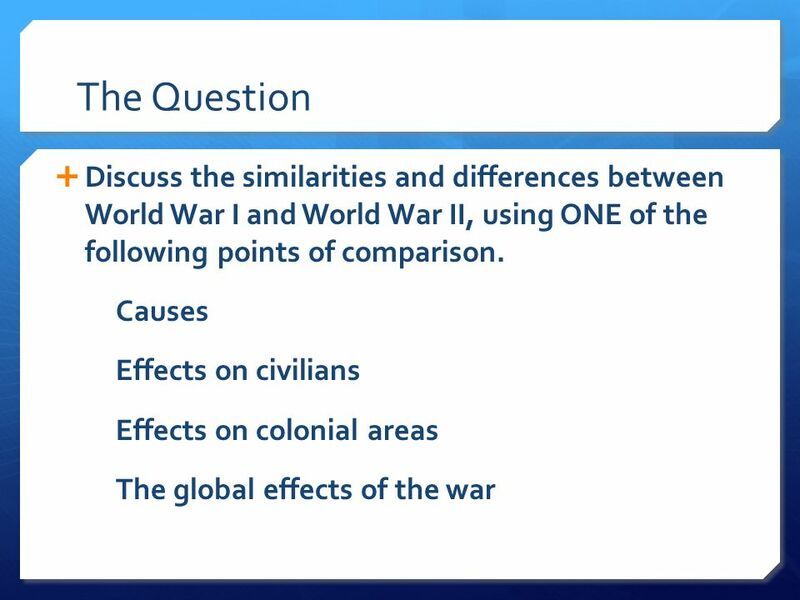 EXAMPLE 2 (9th Grade) Although World War I and World War II began differently, they had many similar causes. EXAMPLE 3 (10th Grade) Despite having differences , the tensions leading to World War II parallel those that caused World War I. 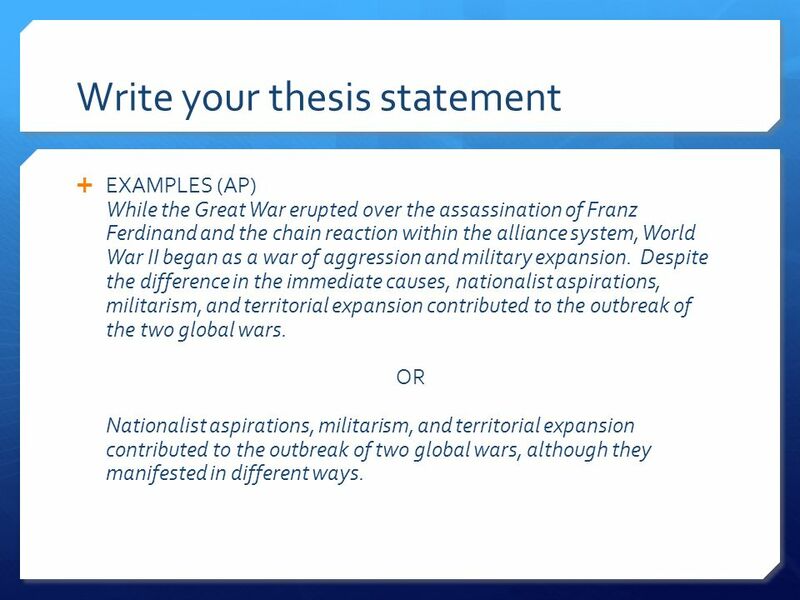 EXAMPLES (AP) While the Great War erupted over the assassination of Franz Ferdinand and the chain reaction within the alliance system, World War II began as a war of aggression and military expansion. Despite the difference in the immediate causes, nationalist aspirations, militarism, and territorial expansion contributed to the outbreak of the two global wars OR Nationalist aspirations, militarism, and territorial expansion contributed to the outbreak of two global wars, although they manifested in different ways. 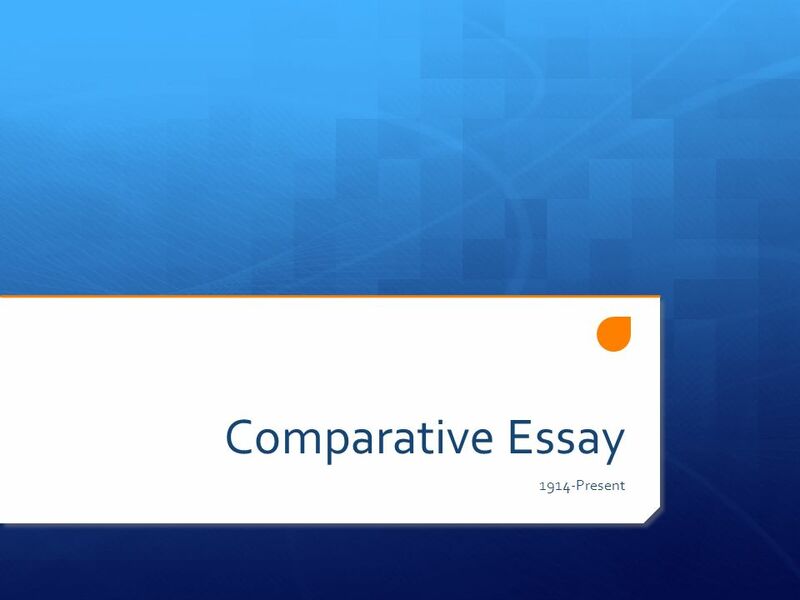 Download ppt "Comparative Essay 1914-Present." I.M. A. D.U.N.C.E. World War I started because…..
What are some reasons why you might get in a fight? When are fights justified (if ever)? Nationalism Similar to patriotismSimilar to patriotism Ethnic groups of similar heritage wanted to free their oppressed brethren and unit Countries proud. Bell Ringer Complete the 1st page of the handout. OPENING ASSIGNMENT TURN IN ALL WORK FROM MONDAY AND TUESDAY TO YOUR CLASS’S FOLDER ON THE FRONT TABLE. How would factors such as the size and strength. Essential Question What caused World War I? ■ Text From 1914 to 1919, World War I erupted in Europe This “Great War” was the largest, most destructive. World War I 1914 – 1918 U.S. Involvement 1917 – 1918. 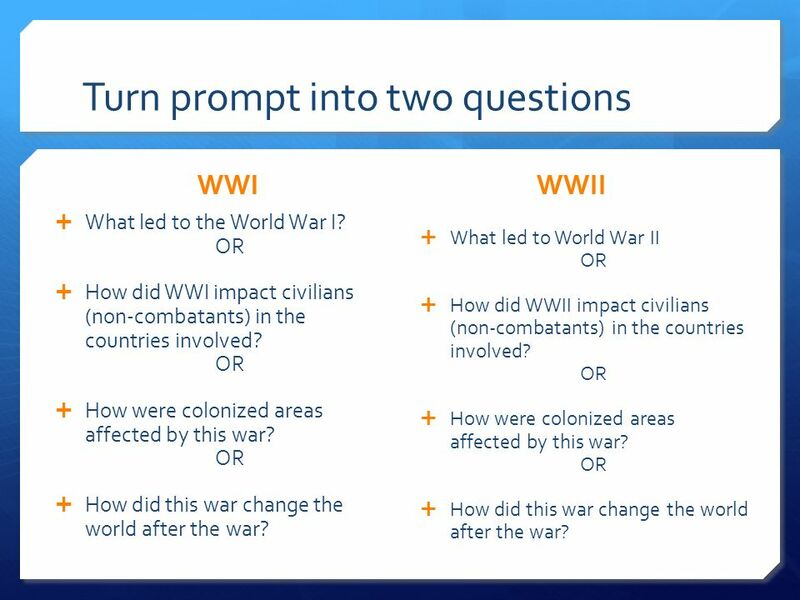 America In WWI Test: 20-November World War 1 Question : Due 11-Nov-14 Why did World War 1 break out in Europe? 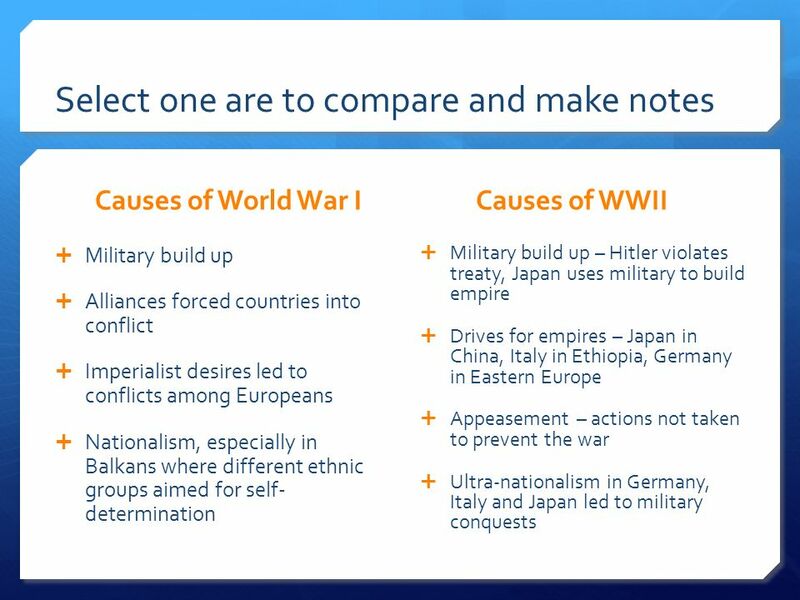 E. Napp The Causes of World War I In this lesson, students will be able to define the following terms: Nationalism Imperialism The Alliance System Militarism. World War I Prelude to a War. The Causes of World War I. 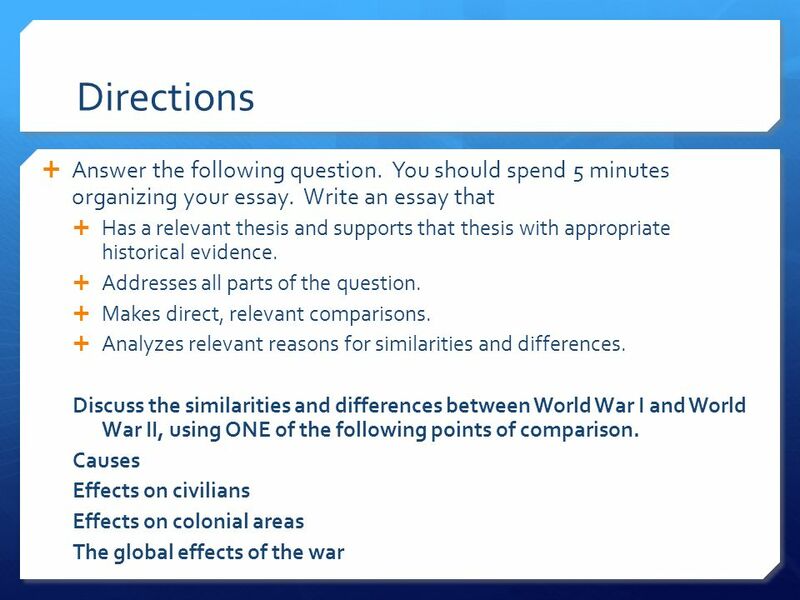 Unit 4: a quick overview 3.5 weeks (from today to the end of December) Topics: WWI in Europe – two days of world history The. Causes of WWI: Militarism –building up of military forces to protect homeland & colonies European countries expanded their military Germany increased their.